Surprisingly, a navy jacket was not one of my first sport coat purchases. It’s an interesting learning curve, if not unique to me. 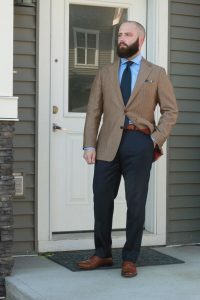 I read all sorts of posts and articles stating that a navy blazer or odd jacket should be the number 1 thing on your list after basic suits. But I didn’t want another plain piece of “formal” wear. 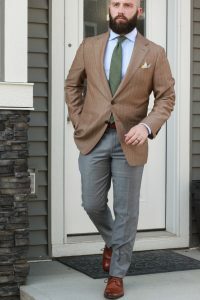 I had caught the #menswear bug, and was inspired by posts of lovely patterned jackets in looks that I wanted to emulate. However, with images of Prince of Wales and windowpane patterns dancing around my head, at some level I realized that a loud patterned jacket would be limiting in a couple of ways – with a small selection of odd trousers pairing would be a challenge, and a louder pattern would be more memorable so I couldn’t wear it too frequently. 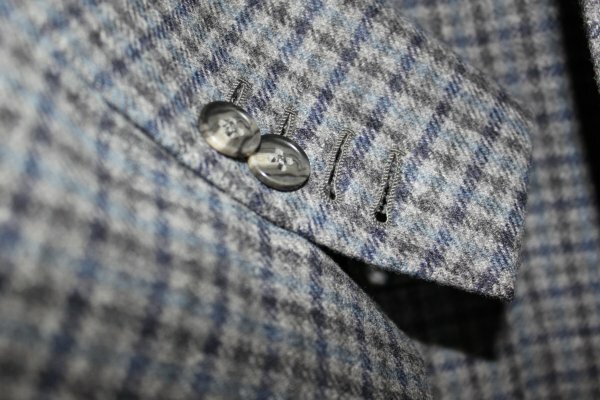 So I picked up a used steely blue box weave Canali jacket. If I’m being generous, it fit poorly. The shoulders were a bit big, the body had no shape and the buttoning point was quite high. 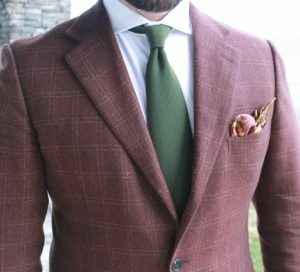 At around the same time, I also picked up a beautiful Zegna jacket in 3 roll 2 that was unlined and made of a lovely rust coloured wool / cashmere blend with a gold overcheck. This one fit better in the chest, shoulders and body, but was about an inch longer than I would have liked. Apologies for the terrible pics, but these were the only examples I could find. 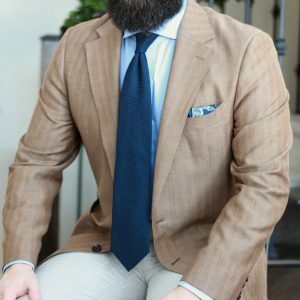 Looking for a fourth sport coat, I finally settled on an unlined navy blazer with metal-rimmed horn buttons from Jack Victor that I found on eBay. 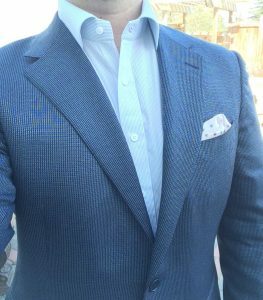 The lapels were slim, and the super 140s wool was showing some wear – but I had a navy sport coat! In the fall of 2016 I lost about 40 lbs, and sadly had to part ways with the gun club check jacket, and less sadly with the others. Later that year I picked up another three jackets – the first a beautiful blue wool/cashmere that had a red, rust and gold windowpane pattern; the second a brown based gun club check; the third a 3 roll 2 navy hopsack (I know!). 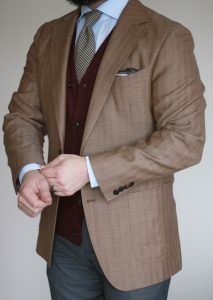 Fast forward to today and I have a dozen sport coats in my closet, and I wear them much more frequently than my suits. I like the ability to mix patterns and colours beyond just accessories, and odd jacket and trouser combinations are more at home in the corporate culture where I spend my 9-5 time during the week. 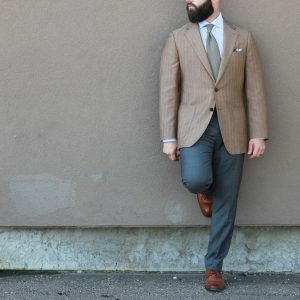 This brings us to the bulk of what I will write about on this blog – what to do when you find yourself moving beyond the basic navy and grey suits, building or expanding a menswear wardrobe, and what I’ve learned along the way.